In the third part of his series, Nicolas Prigent describes how to run post-deployment configuration and automation tasks on Azure Virtual Machines. Nicolas explains how to use Azure VM Extensions using the Azure PowerShell module to save time during the provisioning process. 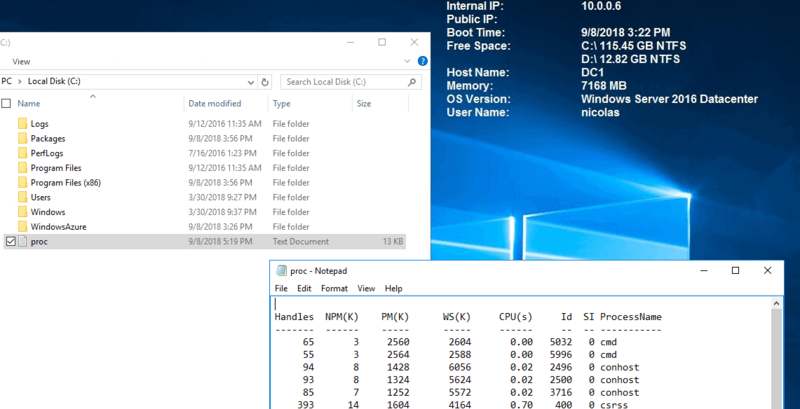 As I mentioned in the previous article, I will not explain how to create Virtual Machines in detail, because Robert Cain published a great series about Azure VMs: Create Azure VMs. But after deploying a Virtual Machine in your Azure subscription, you will probably notice that you must configure the VM in order to suit your needs. This step is normal because the Virtual Machine has been deployed based on a template, which is usually generic and without any customization. Nowadays, deploying a Virtual Machine on premises or in your Azure subscription is very easy and can be done very quickly. Thanks to the DevOps methodology, SysAdmins and developers can work all together in order to automate the deployment process as much as possible. The main goal for the IT department is to be able to deliver the service as quickly as possible because time is money. This is the reason why the provisioning process must be simple, fast, and secure. One essential step you must automate is the configuration of each Virtual Machine. Working with Group Policy Objects is a good idea, but if your Azure Cloud platform is isolated from your on-premises datacenter, then you must consider other options. Azure VMs can be deployed and configured without post-deployment intervention based on a feature which is called ‘Azure VM Extensions,’ so you can use this feature to save time and to automate the configuration management process. 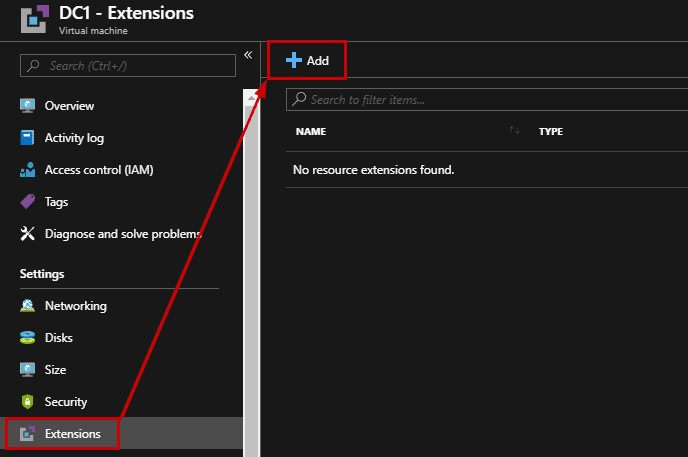 What are Azure VM Extensions? This feature uses Windows and Linux Azure agents that are automatically installed during the provisioning process. 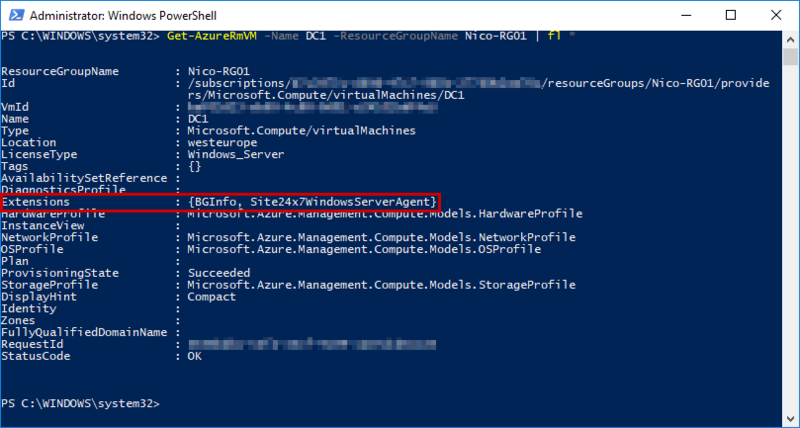 This agent is named ‘Microsoft Azure Virtual Machine Agent,’ and it is the only prerequisite in order to use the Azure VM extensions. If the agent is not installed in the Virtual Machine, you can install it very easily. In this case, you can download the agent and double-click the Windows installer file. Do not worry, you can manage these extensions outside of the Virtual Machine. You do not need to connect directly to the Virtual Machine to update the Extension. Note that VM Extensions can be bundled with a new VM deployment or run against any existing system. The output has been truncated due to the large number of Azure VM Extensions. In the West Europe region, there are 810 VM extensions at your disposal. Why is it important to notice that VM Extensions are not available in each Azure Region? Publishers will update their VM Extension and make them available to regions at different times, so keep in mind that it means you could have VMs in different regions on different Extension versions. 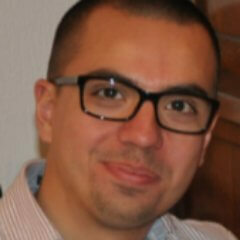 Who authors the VM Extensions? The VM Extensions are supported by publishers who are registered with Microsoft. It means that you cannot publish your VM Extensions without being in a relationship with Microsoft. Why use the VM Extensions? You must use the VM Extensions to simplify the configuration management of Virtual Machines. When you use a VM Extension, you only need to provide mandatory parameters, and that is all. One of the great things is you can install VM Extensions through the Azure Portal, Windows PowerShell, and Azure CLI. If you work with DevOps methodology, trust me, you will have to use Azure VM Extensions. The command returns True which indicates that the VM Agent is installed and running. Note: if the VM Agent is not installed, you can download it from here. When you select a VM Extension, a new blade will appear and prompt for mandatory parameters. 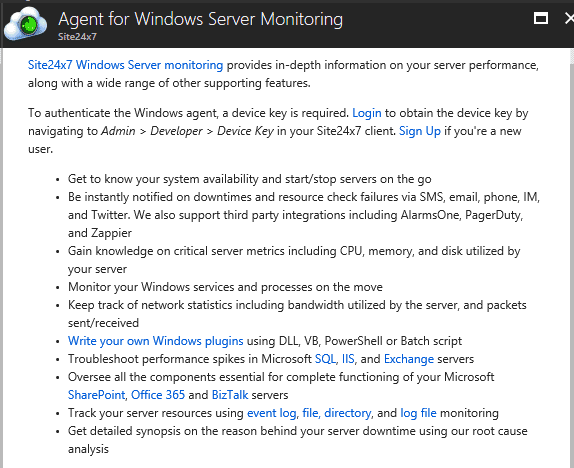 Here, I select the Site24x7 agent, which is a third-party monitoring application. Information is provided telling you what the extension provides and shows you how to create an account and get a key for the service. After testing this extension, do not forget to remove the extension since this is a paid resource. To uninstall the Extension, simply click on the name in your Azure Portal, and select Uninstall. The process is very simple, and it works very well so you can use it without any risk. When logging to the Virtual Machine, BGInfo is up and running. Depending on the VM extension you are removing, it can be time-consuming. 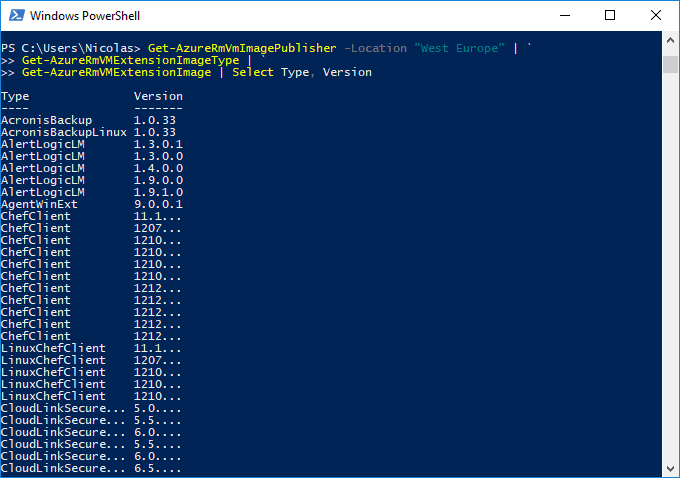 To get more information about VM Extensions with Azure CLI, you can read this article. Script Location: The script can be stored on GitHub, Azure Blob Storage, or anywhere the VM can access the repository. Internet Connectivity: If your script is located on the Internet, then the firewall rules must be opened. Timeout: 90 minutes are allowed for the script to run. To easily manage your Azure Storage Account, I advise you to read the following article which will help you to easily find the file URL. Configuring Azure VMs with VM Extensions can be done when the VM Guest Agent is installed in the Virtual Machine. If the agent is not installed and you cannot start the VM, then you can install it in an offline mode. VM Extensions are software components that extend the functionality of the Virtual Machine. Note that you can add multiple extensions on the same VM. Azure VM Extensions supported Linux and Windows Virtual Machines. If you are limited with the default VM Extensions, do not forget to use the custom script extension to suit your needs. 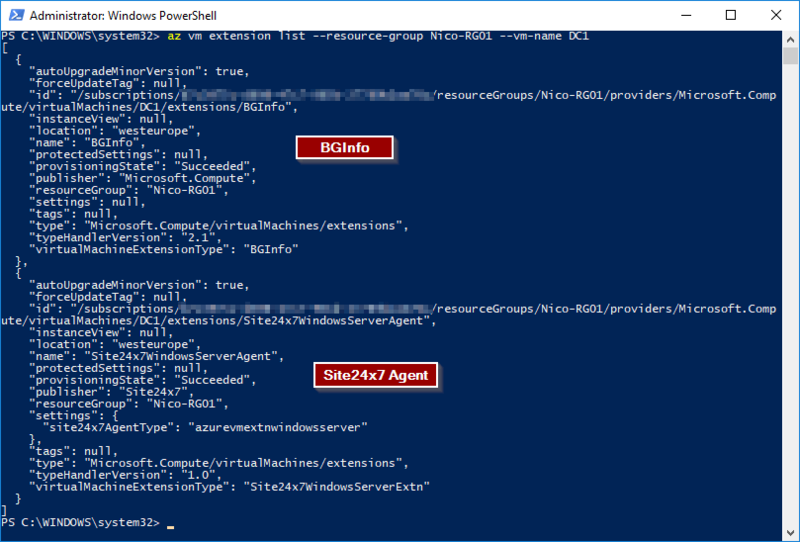 can we install the VM Agent if this is not installed using power shell AzureRM ? Select the VM in the portal, choose Extensions, then select Add, Choose the extension you want from the list of available extensions and follow the instructions in the wizard.